Cryptogenic organizing pneumonia (COP) after allogeneic hematopoietic stem cell transplantation (HSCT) is characterized by frequent recurrence. Few studies have examined onset and recurrence patterns of COP after HSCT. We investigated the clinical features of COP after HSCT in a single-center retrospective study including 165 consecutive patients who underwent allogeneic HSCT. Eighteen patients (11%) developed COP after HSCT. Hypoxemia and pleural effusion at the onset of COP were significantly associated with umbilical cord blood transplantation (P = 0.002 and P = 0.002, respectively). Recurrence of COP was observed in six patients and significantly associated with the presence of chronic graft-versus-host disease (cGVHD; P = 0.013) and stem cell sources other than umbilical cord blood (P = 0.038). Four patients with COP died of pulmonary failure after recurrence of COP. No patients who underwent umbilical cord blood transplantation experienced recurrence of COP. These findings suggest that the clinical features at the onset of COP may depend on stem cell sources. 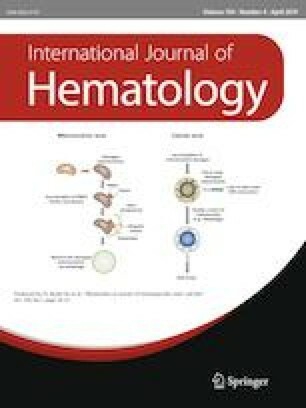 Moreover, both stem cell source and the absence or presence of cGVHD may affect COP recurrence, indicating the need to develop treatment strategies against COP according to stem cell source and risk of cGVHD. The authors thank all the physicians, nurses, and other staff who participated in the care of these patients at the Department of Hematology and Oncology, Konan Kosei Hospital.